Ver useful. This is my third purchase through Miles Kimball. I have them all around my house. The tapestry is beautiful. The interior is soft and fluffy and somehow cleans my glasses when I put it in and take it out of the holder. 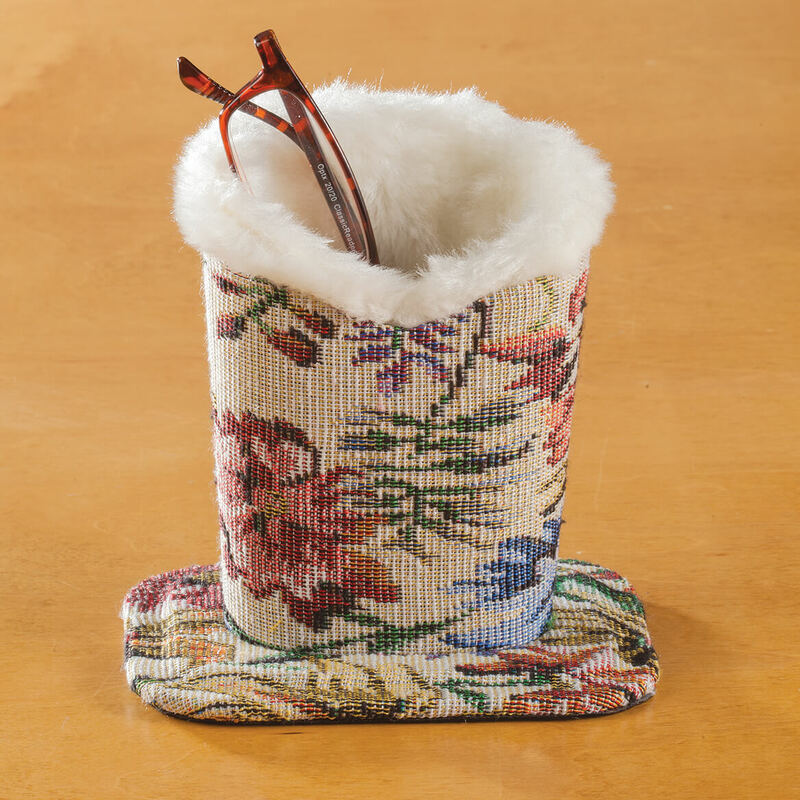 Love the tapestry eyeglass holder. Placing glasses in the holder of a night insures that I won't knock them off on the floor or misplace them. I can easily pick them up, even in the dark if needed.And the lovely tapestry is a decorative item on my night stand. it is used to hold up to 2 glasses. It is very useful and is well liked. I put my glasses in by my table. I need something soft to hold my glasses when I take them off for the night. I can never find my glasses. 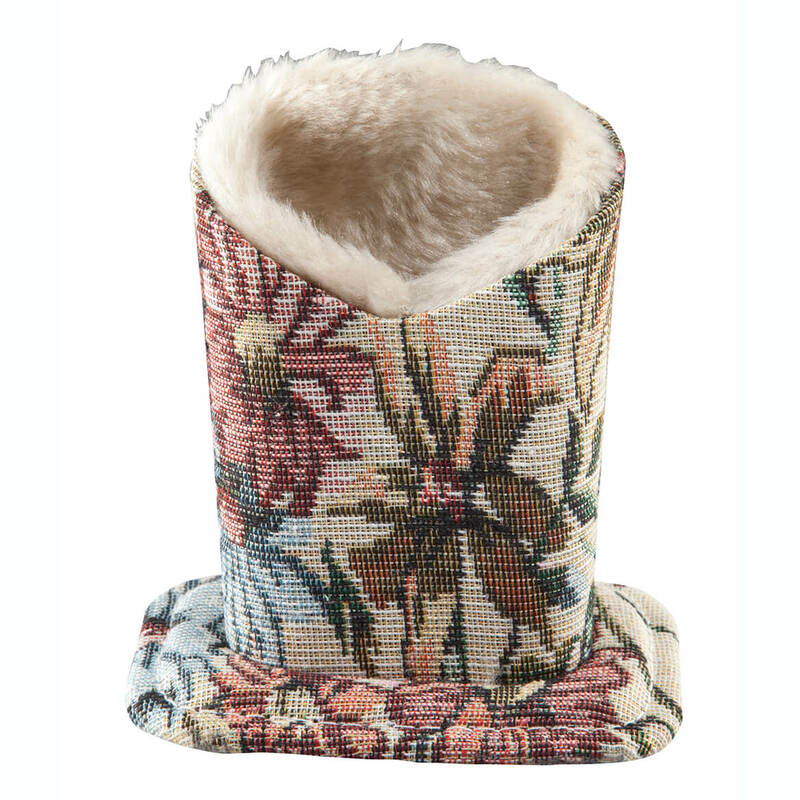 I ordered one of these for my sister last year, she loves it. Now I am ordering one for my daughter. Have my glasses on hand. Never keep looking for them again. Now, I'll always have reading glasses on my night table next to telephone. I ordered the eyeglass holder so I could place it on my bedside night stand. Usually I just lay my glasses on the wood night stand but they started to get fine scratches. Hopefully by sliding them into a soft holder I won't continue to get scratches.